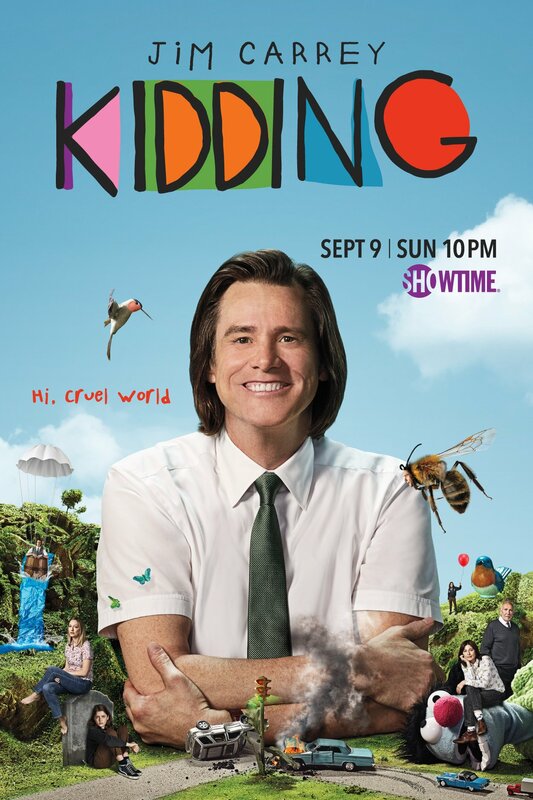 Showtime has released the second trailer for the new series "Kidding". They used their panel at the Television Critics Association press tour to promote the series. More about the press tour soon. 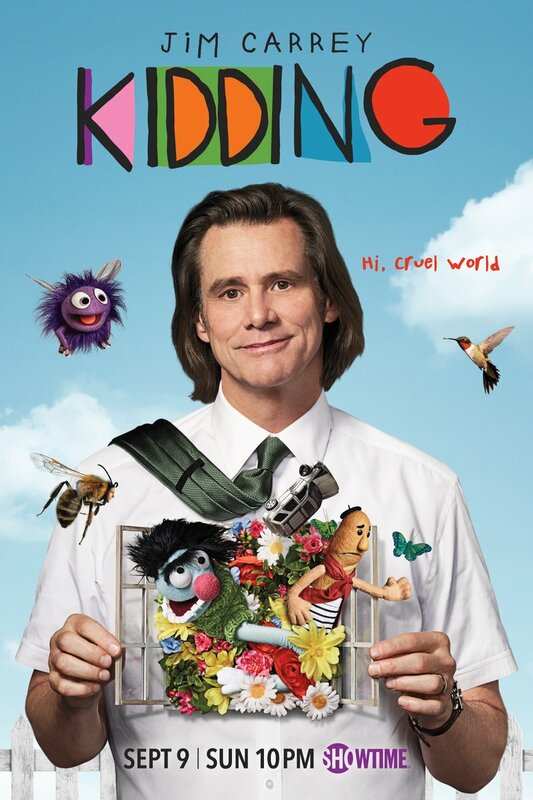 The video features many scenes from Jim Carrey as Mr. Pickles, showing us the full range of emotions this character will be going through. Showtime have also released two cool official posters. They both have the text "Hi, Cruel world". Check them below or go to our Gallery to view them in full size. This is all deliciously amazing and we can't wait for the premiere of September 9th, 10 pm on Showtime. Jeff, aka Mr. Pickles, an icon of children's television, a beacon of kindness and wisdom to America's impressionable young minds, who also anchors a multimillion-dollar branding empire. But when Jeff's family begins to implode, he finds no fairy tale or fable or puppet will guide him through the crisis, which advances faster than his means to cope. The result: a kind man in a cruel world faces a slow leak of sanity as hilarious as it is heartbreaking.